December 17, 2017: outgoing President Juan Orlando Hernandez was declared the winner in the Honduras elections on November 26, but opposition leader Salvador Nasralla challenged the results by talking about serious fraud. The latter come from the fact that a few hours after the vote, when the results were announced on 60 percent of the votes cast, Nasralla was given a big advantage on Hernandez: then the results began to arrive less frequently, each time showing a small comeback of Hernandez. 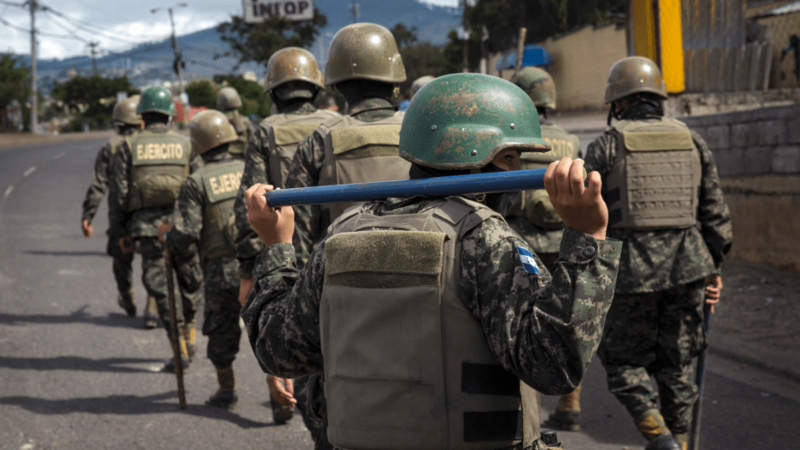 After the disputed presidential elections, Honduran authorities are implementing illegal and dangerous tactics to silence dissent. The security forces used tear gas and in some cases even firearms: at least 17 people died, most of them hit by bullets, and dozens were injured during the many peaceful demonstrations. Among the dead were a 19-year-old girl and a 15-year-old student. On December 1, the authorities imposed a curfew from 6 pm to 5 am which increases the risks for the life and physical integrity of people. Curfew is having an impact on every aspect of everyday life. Many people are forced to change their programs, others lose hours of work or can’t visit relatives and friends. If after 6 pm they are still on the street, they risk not being able to return home or be subjected to acts of violence by the police, who used tear gas, hit people and firearms. People arrested for violating schedules are held in police stations until the end, or 5 am. During this period they are denied any form of legal assistance, since human rights defenders and lawyers can’t violate the curfew to visit them or file for release. Since the curfew was imposed security forces operate with the highest level of impunity, only one agent was brought before a judge for having opened fire on a demonstrator. Raúl Antonio Triminio, a 39-year-old from Tegucigalpa, was killed on the night of 3 December. The man was peacefully demonstrating outside his home when a military police patrol arrived. First they fired at the street lamps then directly at the man’s face. On the same night a boy while he was driving his motorcycle home was attacked by the military police who, cold and without even trying to arrest him, hit him until he lost consciousness. When the brothers rushed to try to help him, the officers pointed their weapons at him and ordered them to shut up, otherwise they would come back to kill them. The victim is still hospitalized in serious health conditions. Honduras holds the per capita rate of murders of environmentalists and activists for the highest land in the world. 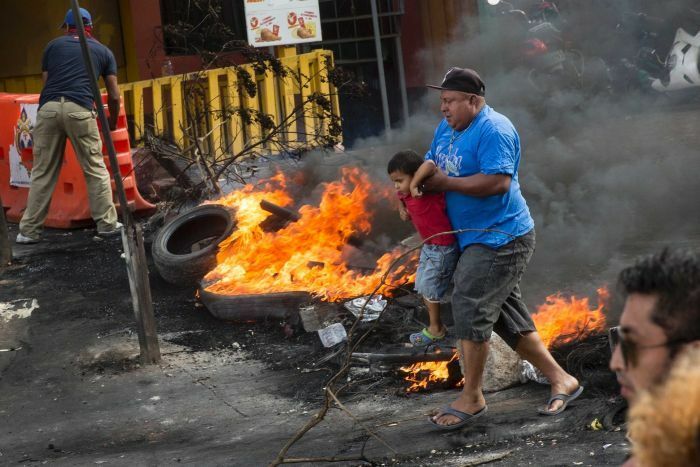 Episodes of violence began, unfortunately, a few years ago and has forced thousands of Hondurans to leave the country. Women, migrants, human rights defenders, environmentalists and land rights activists have been targeted with particular brutality. Berta Cáceres, leader and co-founder of the civic council of Honduran’s popular and indigenous organizations was shot dead in her home on March 2, 2016. On October 18 of the same year, José Ángel Flores and Silmer Dionisio George, from the Campesino Movement of the Aguán, were shot dead after having participated in meetings with several farmers in the Bajo Aguán region, in the north-est of Honduras. Violence against women is common. At least 230 have been killed since 2016, 1500 cases of assault and nearly 1400 episodes of sexual assault against them have been reported. Honduras is one of the most violent countries in the world, with high levels of homicide and insecurity. Mistrust of institutions is high, partly due to recurrent impunity in most crimes and repeated incidents of corruption or involvement of state forces in criminal activities. The levels of cruelty are comparable to those that followed the coup d’etat of 28 June 2009, when the security forces were responsible for serious violations of human rights favored by various states of emergency and curfew. People think the curfew is part of a strategy that was designed before the elections on November 26, as a way to respond to a possible reaction in the face of electoral fraud. Effective safeguards and investigation to prevent further human rights violations should be urgently taken. “The truth is that Honduras has never come out of the coup in 2009”: this is what people say and, if no action is taken, there is likely to be another coup.